If you’ve been dancing ballroom for awhile and especially if you’re a competitor, then you have a decent-sized library of routines and drills that you can use in your solo practice. Your content is plentiful; you just have to decide what your focus will be based on your next event or longer term goals. Have no fear, young grasshoppers! You too can reap the benefits of solo practice. You just need a slightly different approach while you build up your ballroom dance knowledge base. And don’t worry, I mixed up the names of the “cross” steps too. 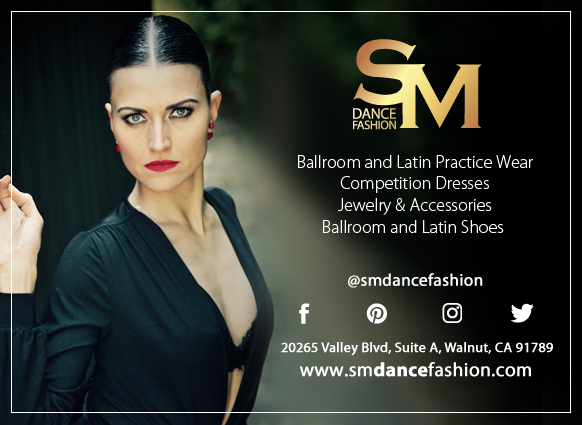 When I first started taking ballroom dance lessons regularly, I took as many group classes that I could to supplement the private lessons I could afford because I didn’t want to stop learning. I had this fantasy vision of becoming an amazing ballroom dancer. My first teacher (before Teacher) told me I should practice, but he never explained how or what I should practice. I didn’t have a particular goal I was working toward either, besides that far-off vision, so why I should practice and the specific benefits I would get from said practice were also fuzzy. I knew in general that you can get better at any skill with practice, but ballroom dancing is a partner activity. How can I get better at a partner dance by myself? It’s no surprise that I barely practiced on my own in those early months. After I signed up to do a studio showcase, I would practice my show routine, but after about 10 minutes, I felt like there wasn’t anything else to do. If I had understood then what I understand now about the huge benefits of regular solo practice, I would have pushed my first teacher to give me more direction on how I could work on my dancing on my own. That’s what I was missing. I had the desire, but little to no direction. I received more direction after I started working with Teacher. First, he insisted on setting goals, even if it was a competition that I may or may not be able to afford. Setting a goal like that gave us a deadline to work toward. He also gave me homework assignments. I have years’ worth of videos of Teacher demonstrating drills or going through sections of choreography with explanations of timing, technique or styling. I still struggled to practice ballroom on my own consistently. It wasn’t until I figured out a structure that worked for me that I’ve maintained a regular and consistent solo practice routine. Which has done wonders for my dancing! That structure became the basis of the structure outlined in the Solo Practice Guide for Ballroom Dancing. Even if you’re a beginner, you can still take advantage of the strategies I provide. You have the desire, and the Solo Practice Guide gives you the direction. Take the solo practice worksheet, for example. First, click the link if you haven’t already downloaded your free copy. If you’re thinking the same thing, then don’t practice that long. Plain and simple. Instead of doing a warm-up followed by a couple focus rounds, just pick one focus. If you have a routine you’re working on with your teacher, you could spend about 15 minutes reviewing your steps before your lesson. If you’re at home in the evening watching your favorite show, hop up off the couch and review your steps during the commercials. It’s only a couple minutes, but if you did that at least once every night, think how quickly you’ll learn that routine! If you don’t have a routine, say you’re just starting to learn the basics of a dance, practice those basics. If your memory bank dumps its data right after you leave the studio like mine does sometimes, then ask your teacher if you can record him or her dancing the steps. Have them explain at least the movement of the step and the timing in the video. There will be more technique to add later, but knowing what direction you’re supposed to step and at what timing makes for a great start. Those pieces will also give you enough to be able to try dancing to music on your own, if you’re feeling ambitious! Personally, I think consistency is more important than quantity when it comes to practicing ballroom on your own as a beginner. Even just a few minutes every night during those commercials will make a big difference. You can also work on just thinking more like a ballroom dancer. Remind yourself to sit up and stand up straight to work on your posture. Engage your core while you’re sitting at your desk or driving your car. Little efforts like these help prepare your mind and body for the more advanced moves and technique that are in your future. I hope this encourages any beginner ballroom dancers out there that you don’t need to wait to practice your dancing on your own. The sooner you start, the faster you’ll advance to the really fun stuff!